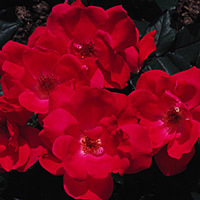 AARS 2000 Floribunda Rose Liven the lazy days of summer � grow the delicious color of fresh-picked cherries in your garden. 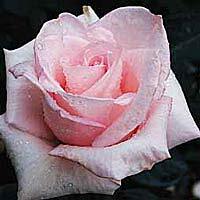 This hardy floribunda will bloom profusely radiating a charming tea rose scent. Royal Wedding English Rose Revolutionary English roses; This newcomer marries the romantic form and fragrance of an English rose, in a plant that's unusually disease resistant. It grows with a compact, almost floribunda habit, but sets one flower per stem for easy one-snip bouquets. This stunning hybrid tea rose honors all those who answered the call of military service for our country. It fittingly blossoms into the heraldic color that symbolizes courage and fortitude. 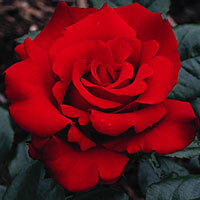 �Veterans� Honor� spirals open to magnificent, rich-red, high-centered blooms with an appealing raspberry fragrance. The thick, velvety petal substance of these long-stemmed beauties lets them last up to two weeks in the vase. 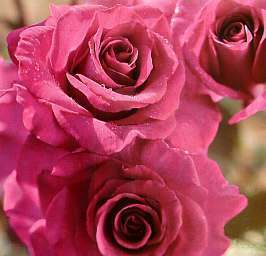 Dark green, glossy leaves and blooms thet last and last make for an exceptional cutting rose. 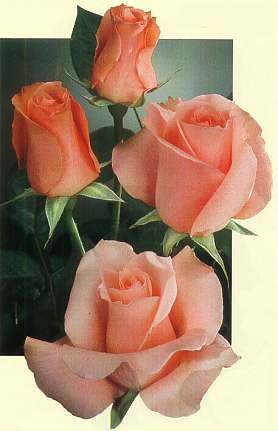 Type: hybrid tea French spice aroma and wonderful color. Deep plum buds open to rich lavender and the fade to silver. Petals fall away cleanly to keep bush fresh and tidy. Enormous, classic blooms held proudly atop sturdy cutting stems clothed in foliage of large dark green leaves. Stunning!. 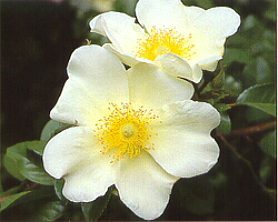 Type: english garden Quartered, golden-yellow blossoms that mature to a coppery-red. Blooms abundantly along lax, outward-arching canes. Notes: climbing Large five-petaled, sweetly fragrant blossoms bloom throughout the season. Wicked thorns make the Mermaid suitable as an impenetrable hedge. Notes: Cutting Creamy apricot to warm amber pink, sweetly fragrant bloom. Full, bushy, vigorous plant. Named in honor of the Centenial Anniversary of Sunset Magazine. (PPAF, Var: KORbeteilich) - What's the difference between red and crimson? It's hard to tell but this rose could be called super red because it is a bold, strong color showing off in clusters of 5 or more flowers. 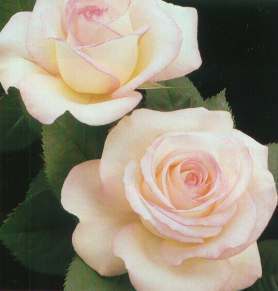 This grandiflora is typical in its clustering but not in its size as it behaves quite well staying on the shorter side. Its lack of fragrance will display its disease resistance as most reds with strong fragrance often display their propensity for disease. A real eye catcher and AARS winner for 2000. (PPAF, Var: JACnepal) - Creamy white with a coral edge on perfectly formed blooms. You won't have to look at your horoscope to see if you are a winner with this as every flower seems to have perfect form. Its color will intensify as it ages and you will find it with long cutting stems and terrific dark green leaves to offset the flowers. Gemini signifies twins so you will probably want to buy it in quantities of two. AARS winner for 2000. (PPAF, Var: RADrazz) - Shrub roses have been gaining in popularity over the years since they have been so much more disease resistant than hybrid teas and floribundas. Well, we have a new record setter as this new award-winning shrub is almost immune to blackspot. Its bright cherry red color, robust flowering effect and its shiny blue green foliage have already made waves but it also is quite hardy. The habit is rounded as it continues to bloom through the entire season and you will find it to be the perfect landscape rose for the area of your garden where striking color is needed. AARS for 2000. 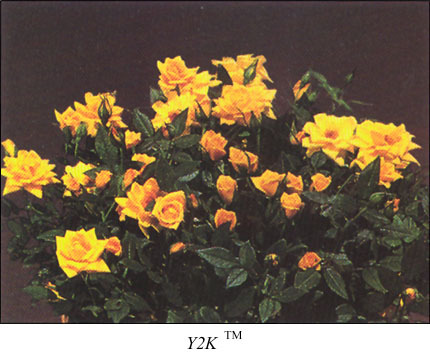 Truly a rose for the new millennium, Y2KTM has both fragrance and disease resistance. Superb deep yellow flowers reach about 2 inches in diameter when fully open, and the blooms contrast brilliantly with the glossy dark green foliage. When planted in full sun, the petal edges take on a warm coral tone that spreads over the entire bloom as it fades. A winner of the American Rose Society's Award of Excellence for the year 2000, ApplauseTM is a miniature rose in its truest sense. The upright but compact plant is continuously covered with an extraordinary number of diminutive coral flowers. The plant is vigorous, with disease-resistant semi-glossy foliage. 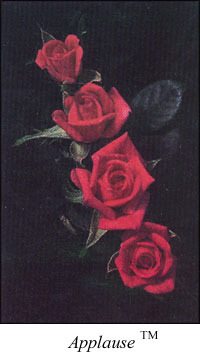 Buds and flowers are often seen late into the fall after most roses have stopped blooming. Bride's Dream (Var: KORoyness) - How many brides dream of soft, light pink? Probably all those who have been introduced to these exhibition quality buds which adorn tall, long stemmed plants with grayish, medium green foliage. No disease problems, nice fragrance and cold winters don't faze it. 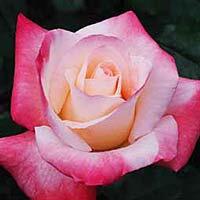 Rosie O'Donnell rose is a stunning new hybrid tea rose named in honor of the popular talk show host. This year 2000 introduction is truly a knockout. Its blooms are pure red on the inside petals and clear yellow on the outside petals. It flowers early in the season and makes many and rapid repeat blooms. 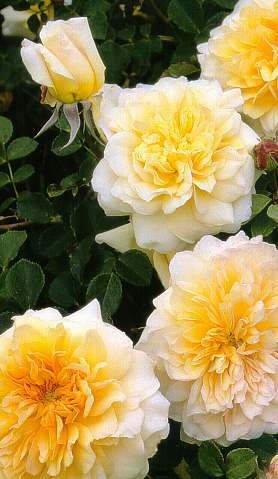 Rosie O'Donnell has classically pointed buds that mature into splendid large flowers (up to 5 inches in diameter). The plant is upright, slightly spreading and of medium height. The rich green foliage accents the bloom. The plant has good disease resistance, medium-long stems and a mild fragrance. 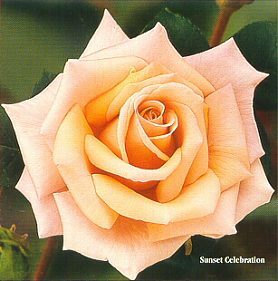 AARS, The Rose Resource, 2000 Winning Roses, designing with roses, rose gardening tips, tip of the month, where to buy roses, local public rose garden locator, brochure and rose calendar. The Rose Pruning Guide, a very nice one- from Otto & Sons Nursery. Visit my NEW Handicapped Gardening page! © 2000 Gardens. All Rights Reserved. Do not duplicate without permission.